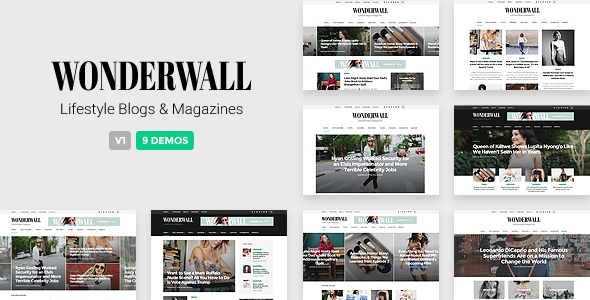 Wonderwall is a WordPress magazine/blog theme with a clean, carefuly crafted design. It is perfect for feminine blogs and magazine websites but not limited to those categories, it can be used for any type of blog or magazine websites. There are 7 different featured posts sliders and 11 different content modules allowing you to build your homepage just the way you want it. YellowPencil allows you to easily change the appearance ( typography, colors, spacings… ) of any element in the theme.